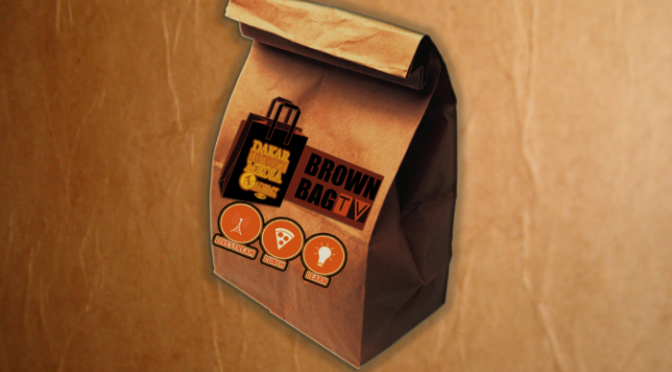 Students from JFK Film Magnet produced this sizzle reel for Brown Bag TV. This segment will feature a Q & A on a larger short film on a day-in-the-life of a Digital Media Predator. 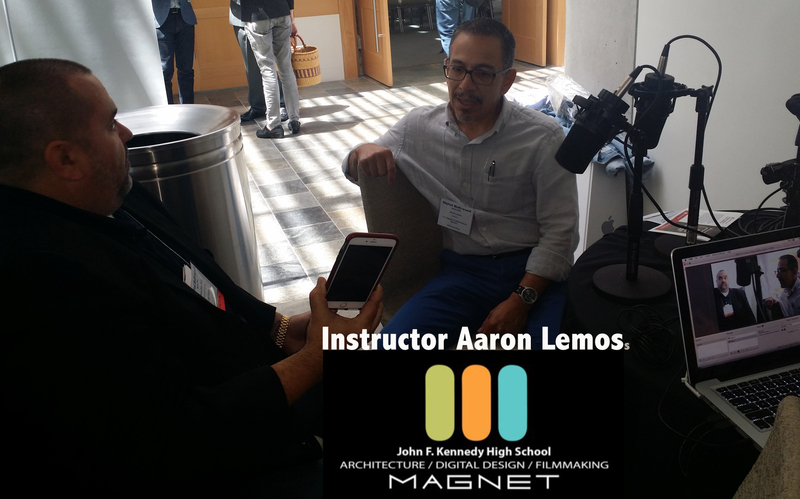 Tuesday May 3, Former film industry insider Aaron Lemos, now instructor for over one hundred 10th-12th grader at the award winning JFK Architecture/Digital Design/Filmmaking Magnet High School in Granada Hills experienced The Spring Digital Hollywood 2016. The JFK Cougars were the only student news crew broadcasting live from the venue, and had many registered guest asking who where these students and why were they here? 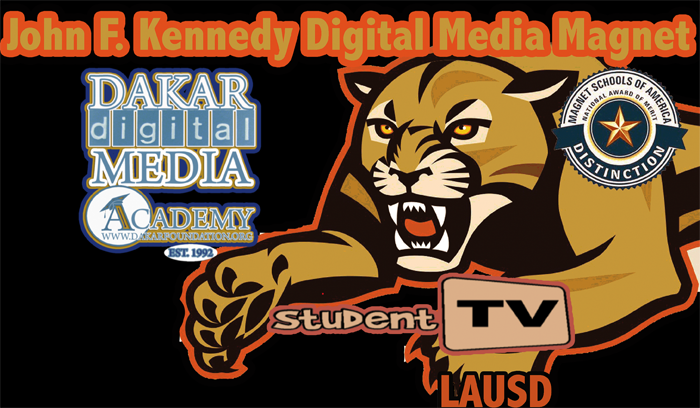 Aaron and four of his top students, Daniel Molina, Stephanie Moreno, Julia Tocher and Daniel Pivaral were selected by Kevin Clark, Dakar Media Academy to participate in the first Educational Summit within Digital Hollywood May 3-6, 2016. 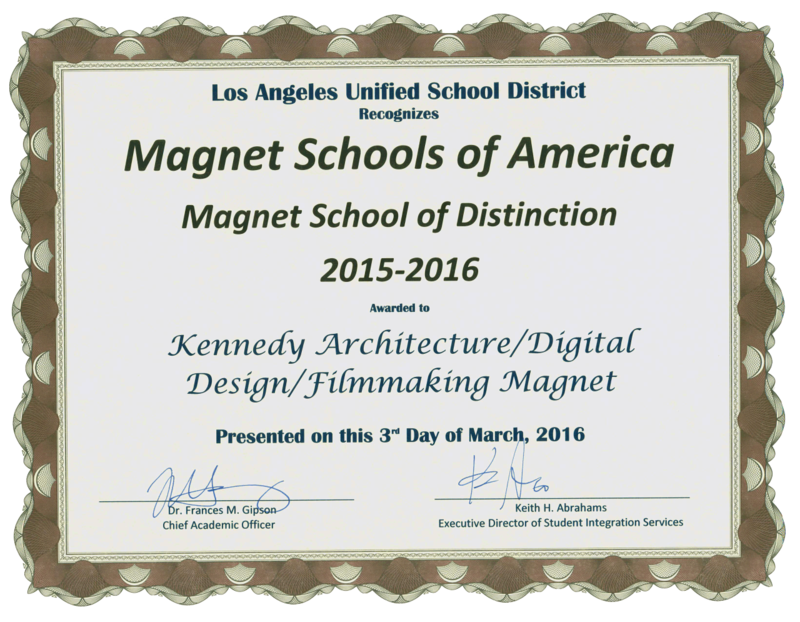 A select group of JFK Film magnet junior students were prepped by instructor Aaron and Dakar Foundation to capture the production of Digital Hollywood 2016 as project based learning documentary. The plan is to edit all of the content and to share with their peers and perhaps showcase at a future film festival. Several of the students also did behind the scenes filming at the recent LAUSD sponsored Grand Arts Festival April 2016. During the summit, the students engineered a live broadcast entitled “The Anatomy Of Genius” from the convention hall, featuring interview of panelists, student point-of-view of project based learning and gaining insight into the fast-paced and ever changing entertainment industry, and topical themes such as National Teachers Appreciation Day and the passing of Prince and his impact on their generation. The Daniel’s have undergone extensive training in digital media capture, editing and publishing through the tutelage of instructor Aaron. Stephanie Moreno, another junior, thought it was great so many people wanted to be interviewed. She and fellow student Julia Tocher were able to get several interviews with speakers and attendants before and after each session. Stephanie is one of LAUSD brightest success stories in indtructor Aaron’s program. As a junior she obtained a paid summer internship to Bad Robot, where she’ll gain invaluable exposure to the business of business of digital film making. Joining the students is an alum from LAUSD Grant High school and current professional expert-LA Valley College, Mr. Robert Reeber. Robert attended a communications magnet school within Grant High. He provided equipment needed for the live broadcast from the support of Dan Watanabe. The underpinning of the Digital Hollywood experience for the students came from LA-High Tech Grant ,who is working with Dakar Foundation to provide exposure to digital media career pathways and networking with the entertainment professionals. One of the most interesting sessions for the students entitled “Accelerating Education Innovation through Media-Entertainment-Technology” highlighted how young people learn with technology. It featured Hal Davidson, retired LAUSD educator and current Senior Director for Global Learning Initiatives-Discovery Channel; and Shirin Laor-Raz Salemnia, former executive of Mattel toys and current CEO of PlayWerks. Julia Tosher, who has won a paid internship at prestigious YouTube production house especially likes the fact that young girls are getting opportunities to code. The evening capped-off an exciting day for LAUSD, as Arts Entertainment Branch Director Rory Pullens attended the CSU Stakeholders dinner tuesday night, and greeted some old friends, such as the Hollywood Foreign Press.